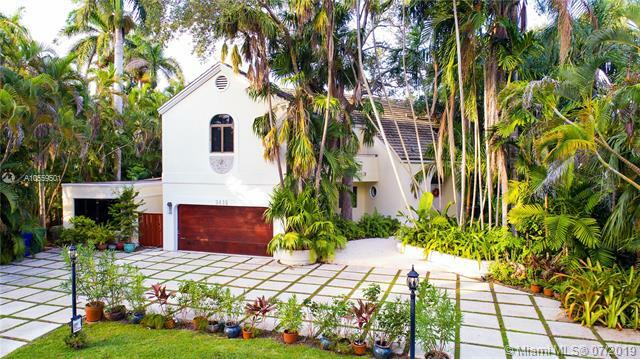 Close to Main Highway and Commodore Bike Trail is The Moorings in Coconut Grove, a beautiful gated community. The 37 Moorings homes for sale are located near North Moorings Way and South Moorings Way, and they each have large lots. The Mediterranean-style residences come with many great features that include hardwood flooring, swimming pools and a great deal more. If you're interested in The Moorings real estate you'll also have recreational activities and sights nearby like a marina. Coconut Grove is one of the oldest neighborhoods in Miami, and it's also where you'll find CocoWalk and Dinner Key Marina plus the gorgeously lush Vizcaya Museum and Gardens. Coral Gables offers places to shop at Miracle Mile and the Village of Merrick Park, or you can see the natural sights in Fairchild Tropical Gardens and the history of the Biltmore Hotel. Downtown Miami is close to The Moorings and is home to attractions like Bayside Marketplace and the American Airlines Arena. Please contact South Miami luxury home Realtor Nelson Gonzalez for help buying, selling or renting a The Moorings luxury property.